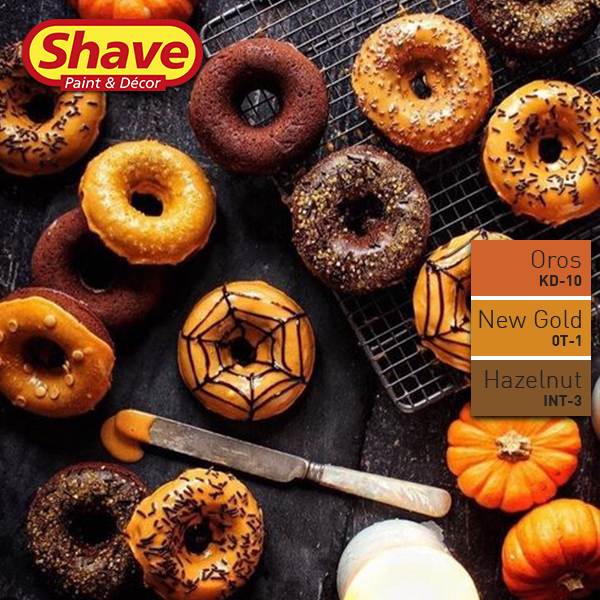 #WeDoColour: The growing popularity of Halloween locally got us thinking about it’s characteristic colours. The combination of orange and black certainly reflects a mix of imagination, creativity and mysticism. It’s a striking colour combination to use in your decor and, when paired with metallic accents , creates a sophisticated look. We recommend the following colours to create this look: Oros (KD – 10), New Gold (OT – 1), Hazelnut (INT – 3) all from our latest Colour Collection.